Tom Bradshaw's second-half penalty ended Notts County's 11-game unbeaten run as Walsall snatched a 2-1 victory at Meadow Lane. The Welsh striker struck from the spot after Haydn Hollis was adjudged to have handled the ball, with referee Simon Hooper having initially ruled it was outside the area. But his assistant thought otherwise and he changed his mind, much to the fury of Notts boss Shaun Derry. It was no more than the Saddlers deserved for a fine performance in which they had taken the lead early on through a Gary Jones own goal. 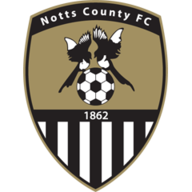 But Notts hit back strongly with Garry Thompson grabbing his fifth goal of the season when he converted Stephen McLaughlin's inch-perfect centre. 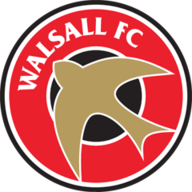 Michael Petrasso then went on a wonderful run to beat four challenges only to see Richard O'Donnell save smartly with his legs, before Bradshaw put Walsall ahead with his seventh goal of the season. Notts tried to summon a late siege, but on an afternoon when their attacking personnel lacked incisiveness, Walsall comfortable rode out the final stages for a first league away victory of the campaign.